If the idea of Jean Grey going crazy with power sounds vaguely familiar, it’s because the Dark Phoenix Saga was butchered almost beyond recognition in the 2006 Brett Ratner film, X-Men: The Last Stand. This new movie promises to hew closer to the story as told in the comics, but casting reports suggest Kinberg is adding characters (such as Dazzler) that were not in the comics, so “closer’ to the original story is probably a relative thing. 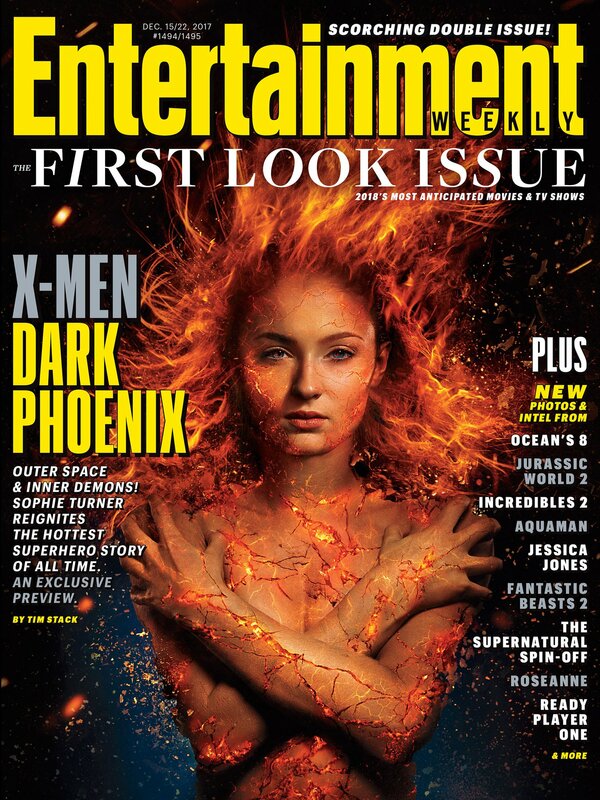 Jean becoming Phoenix was foreshadowed at the end of X-Men: Apocalypse when [SPOILER WARNING] Jean unleashed her full powers to defeat Apocalypse and was framed by an aura of fire in the shape of a Phoenix. [END SPOILER WARNING] In the comics, the Dark Phoenix storyline happened decades before Apocalypse came along. Check out the new EW for the full preview of the movie. X-Men: Dark Phoenix opens Nov. 2, 2018. This entry was posted in Comic Book Movies, Comic Books, Film, Superheroes and tagged Jean Grey, Phoenix, Simon Kinberg, Sophie Turner, X-Men, X-Men: Dark Phoenix. Bookmark the permalink. That was one of my favorite comic Series. A perfect character arc. jean had to die at the end. No other way for it to go.